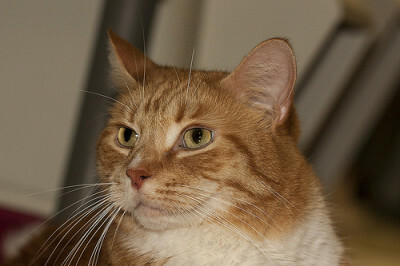 Charlie is such an easygoing and affectionate cat; there is nothing he loves more than human companionship. A sure way to indulge this handsome fella is by petting, he thinks that is just purrrrrfect. Once he has your attention, he’ll roll right over for full body petting. He has quickly become a staff and volunteer favorite because of his outgoing and easygoing nature. He is a charming attention seeker that is always ready for a good cuddle session. 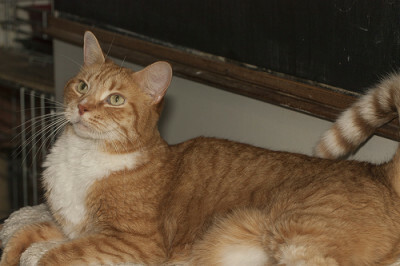 Lucky Charlie was adopted on May 18, 2014.